These photographs were taken in 2008, by John Simitz. The photographs were issued to Lehigh University by Ken Raniere, courtesy of the South Bethlehem Historical Society. 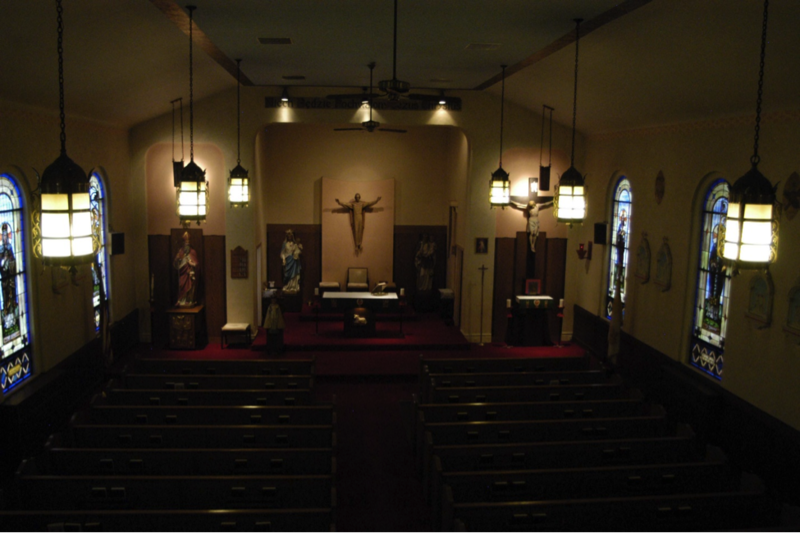 This is a photograph of St. Stanislaus Church taken from the choir loft. If you look on the walls, you can see the Stations of the Cross. 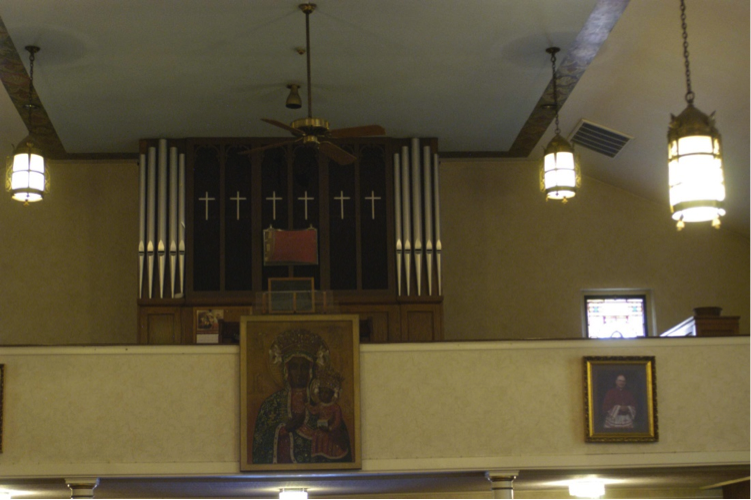 This is a photograph of the aforementioned choir loft inside of St. Stanislaus Church. This is a photograph of the sacristy, within St. Stanislaus Church. 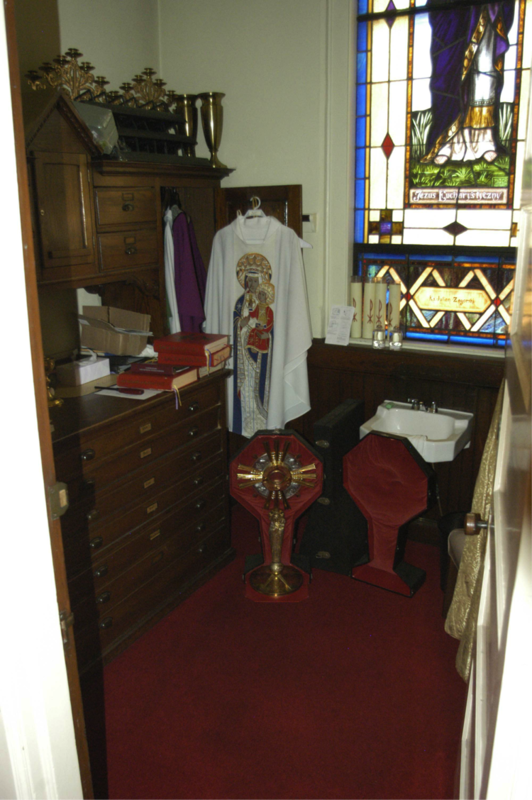 The sacristy is a room for storing the vestments, and other furnishings. 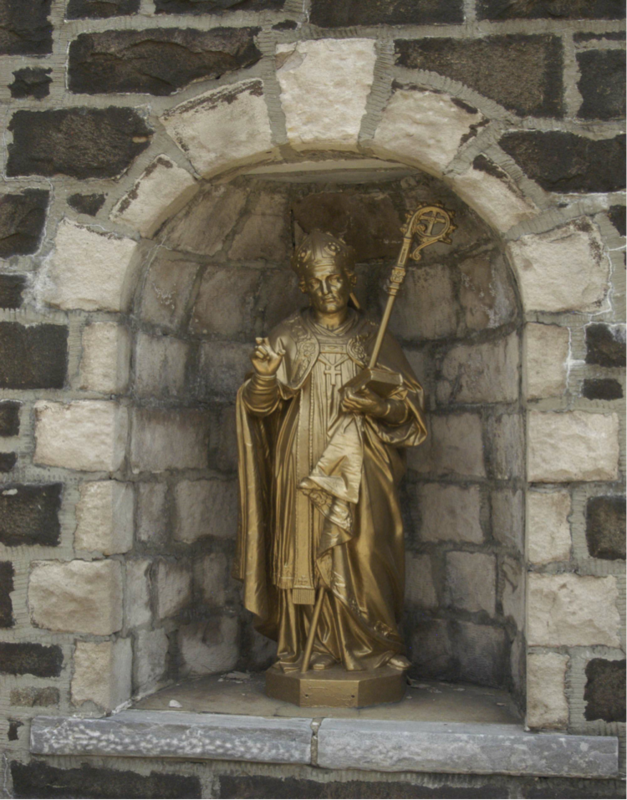 This is a photograph of the statue of St. Stanislaus, which rested on the front steps of the church building. Submitted 3 years 4 months ago by cjs815.